It was a cold and dark November day when we received an e-mail with cruise offers from a well-known Dutch travel agent. 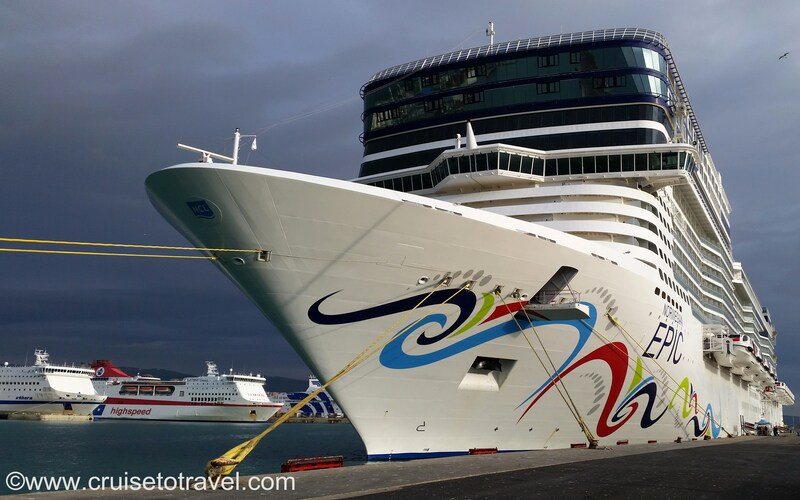 The offers included a cruise onboard Norwegian Epic, a ship that has been on our bucket list since her debut in 2010. Knowing that Epic just spent time in drydock getting upgraded and fine-tuned pushed us towards making a booking. But it was Priscilla, Queen of the Desert that took away any remaining doubts and convinced us to get out our credit card and book this epic cruise. The offer included flights from Amsterdam to Barcelona, accommodation in a balcony stateroom and a drinks package. We have the (bad?) habbit of keeping track of the price changes of cruises we would like to do and cruises that are booked. So a few days after we booked, but before we paid the cruise in full, we noticed the price on Norwegian Cruise Line’s website started to drop. We contacted the travel agent to ask if they could adjust our booking to better reflect the new price of the cruise. In the meantime we had also learned that the drinks package, that was included in the offer, was part of a deal offered by Norwegian Cruise Line and not by the travel agent (though they gave the impression it was). Since Norwegian offered a choice between different packages, we also asked the travel agent if we could switch the drinks package to the specialty dining package. The travel agent responded that they could not and did not want to make any changes or adjustments to our reservation. As we wasn’t happy with this answer we contacted Norwegian Cruise Line by phone to see if anything could be done about this. According to our contactperson at NCL changing the drinks package to the dining package was no problem. It took less than one minute to make the change. Unfortunately they were not able to help us with the price adjustment as we had not booked directly with NCL. Because we used a travel agent the request had to go through the travel agent who “owned” the reservation. The travel agent had to get in contact with Norwegian and request an adjustment on our behalf. Well if all that was needed was a phonecall or e-mail from the travel agent to the cruise line, that shouldn’t be a problem we thought. 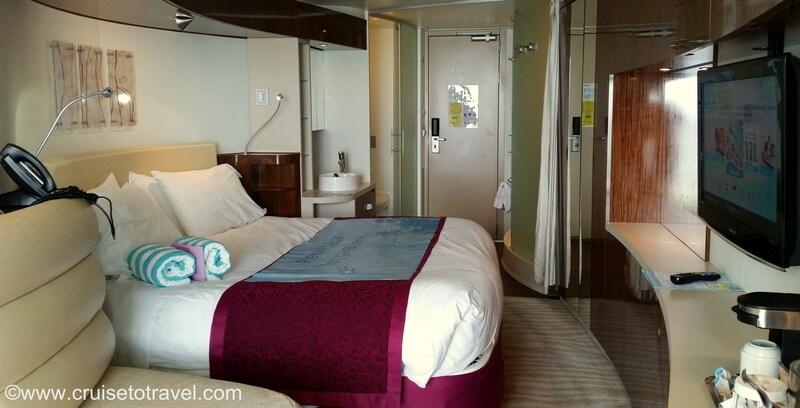 During that time , as is sometimes the case, the price of the cruise had dropped in such a way that a mini-suite was now less expensive than the balcony cabin we were booked in. So when we contacted the travel agent to explain what they could or should do to help us get a price adjustment, we also mentioned the price drop and asked them to see if they could get us ugraded to a mini-suite. We even suggested that, since the price was lower than what we paid and thinking that because of this the cost for upgrading could not be very high, we were willing to pay for the upgrade. The travel agent responded with a long e-mail explaining the price changes that can occur when buying a jacket… Even though at that point we felt insulted, we wrote them a polite response thanking them for their extensive e-mail, but that the only thing they forgot to mention was the fact that they picked up the phone to call NCL, something which would have taken them less time and might have helped their customers. It did not take the travel agent very long to mail us back saying that, as far as they were concerned, the booking was closed and they had no intention of doing anything further. Looking back we must have spent at least six hours calling, mailing and trying to convince the travel agent to do something on our behalf, deliver the extra service they claim to provide. Instead all we got was a cannot and a will not. To be honest the travel agent did do what was promised in their offer: selling the cruise, booking the air transportation and inform us about all the obligations and responsibilities we had concerning this cruise. In other words the minimal basic custumor service for the commission they recieved. It took less than an hour to get help and superior customer service from Norwegian Cruise Line. Needless to say we will be cruising with NCL in the future, that particular travel agent on the other hand…. Next MSC Splendida – Booked!